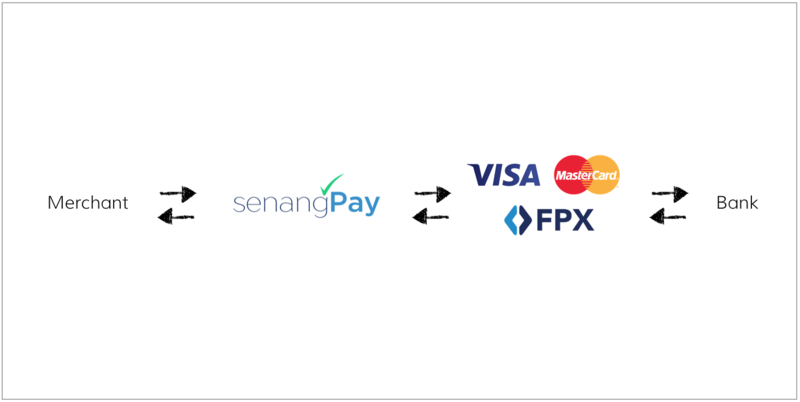 The senangPay payment process overview is as illustrated on the chart above. Merchant means merchant’s online store / blog / web / Facebook / WhatsApp etc. When customer makes payment through the Payment Form or Shopping Cart, the data will be transferred to senangPay first, then to VISA / MasterCard / Internet Banking (FPX), then to customer’s Bank. At the customer’s Bank, they need to insert the OTP password for VISA / Mastercard, while for Internet Banking (FPX), they need to login to the online banking web. From the bank, the data is forwarded back to VISA / MasterCard / Internet Banking (FPX) and then to senangPay, and lastly back to the merchant. Please take note that this is the flow of the data. Not the flow of the website.